The color is a shiny dark grey with a bluish tint. 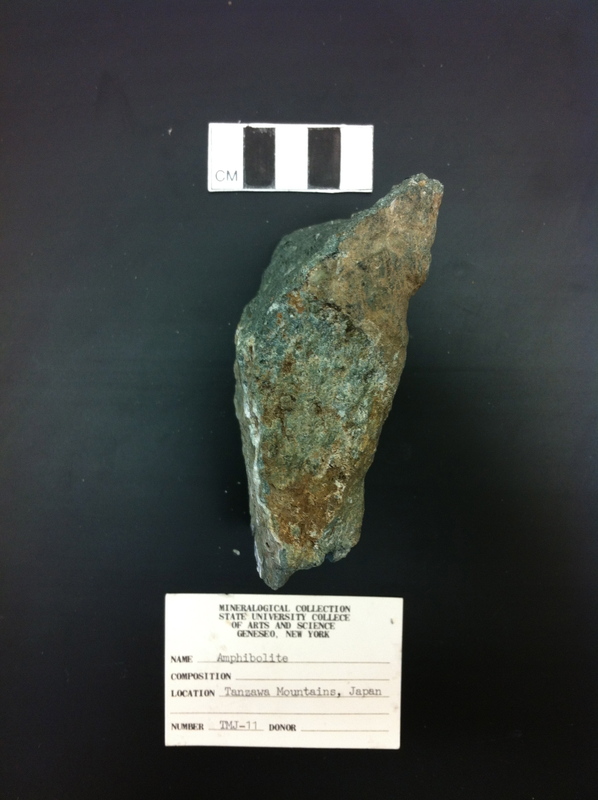 Some parts of the sample are a more dark turquoise. Some faces are lighter and or darker than other faces. There is also a face with a brownish color and another face with a tannish color. The majority of the sample feels silty/sandy but there is one face that feels waxy. 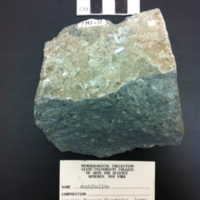 There are coarse grained blue-green phenocrysts, ranging in size of (2-8mm). 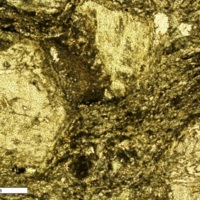 Some of the phenocrysts are white linear phenocrysts (â‰¤10mm in length). The matrix is apharitic. 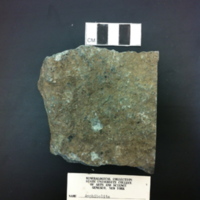 The sample experienced minor chemical weathering with some orange to brown blotches. This may have been due to oxidation. 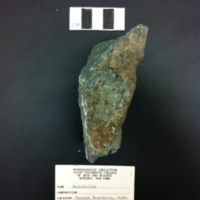 Some erosion took place on the sample, creating crater-like hole on the sides of the sample. PPL. 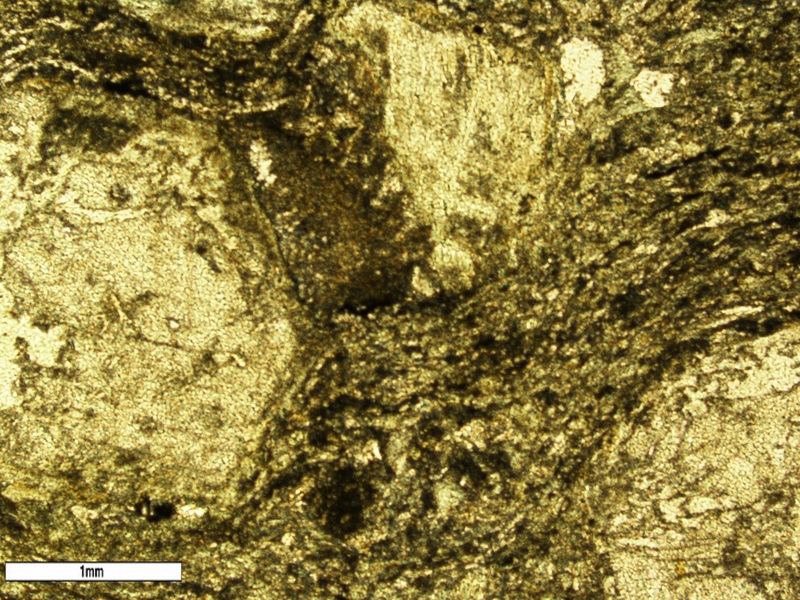 Abundant well-rounded hornblende crystals. 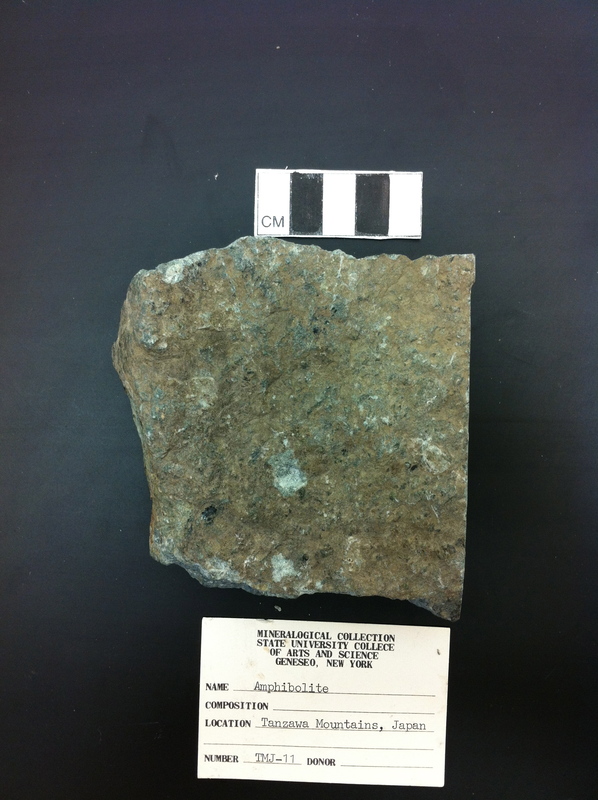 Some of the hornblende cryststals are fairly large. The matrix has a flow-like fabric. 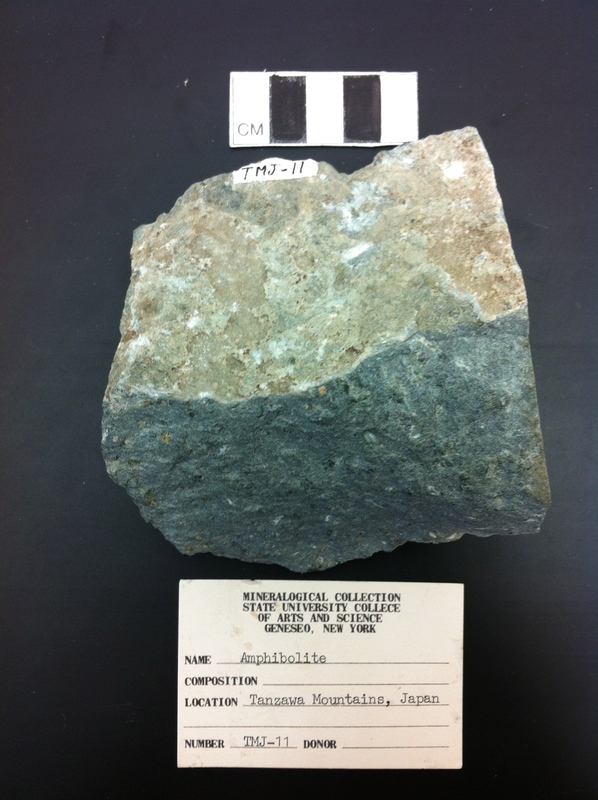 “Amphibolite,” Geneseo Geoscience Collections, accessed April 25, 2019, http://www.geosciencecollections.milne-library.org/items/show/353.